On February 8th, 2015 the USCCB will observe the National Day of Prayer for Victims and Survivors of Human Trafficking. February 8 is the feast day of St. Josephine Bakhita, who was kidnapped as a child and sold into slavery in Sudan and Italy. Once Josephine was freed, she dedicated her life to sharing her testament of deliverance from slavery and comforting the poor and suffering. Last February, Catholics throughout the country observed the national day of prayer through Masses, prayer vigils, and other events to raise awareness about human trafficking in their parishes and communities. This coming February, we encourage you to do the same. Through prayer, we not only reflect on the experiences of those that have suffered through this affront to human dignity, but also comfort, strengthen, and help empower survivors. 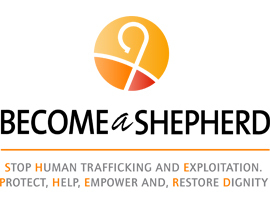 Please visit www.usccb.org/shepherd to download prayers, intercessions, a toolkit and other resources to help you host a human trafficking event locally. Visit www.usccb.org/stopslavery for more information about human trafficking and to download flyers for the National Day of Prayer including a Mass that will be held on Sunday, February 8th at the Basilica of the National Shrine of the Immaculate Conception in Washington, DC. Read the latest issue of Stop Trafficking!, the anti-human trafficking newsletter of a broad coalition of national and international congregations of women religious and their partners. The August 2014 issue (Vo. 12, no. 8) highlights the plight of children in the US and those seeking asylum because of violence and sexual exploitation. Below are two great resources to help us learn about and do something about modern day slavery. Please check them out. The Amistad Movement is a national education campaign, sponsored by the US Conference of Catholic Bishops, that works through churches, cultural organizations, and other community-based groups to empower immigrants and local leaders to prevent human trafficking in their communities. For more information or to schedule a free training in your community please email MRSTRAFF@usccb.org or call (202) 541-3021. “Reducing Child Labor and Forced Labor: A Toolkit for Responsible Businesses” is guidance from the US Department of Labor designed for companies to help them make sure they are not using forced or child labor in their operations or their supply chain. It is very clear and comprehensive. We all know someone who owns or has a responsible position in a business – spread the word! Access the toolkit here…. The International Labor Organization (ILO) estimates that there are 215 million children in child labor worldwide, 115 million of them in hazardous forms of work. It also estimates that 21 million people are in forced labor, six million of them children. By utilizing this toolkit, companies show that they are concerned about these grim statistics. Using the tool-kit reduces the chance that their products — and the raw materials they come from — are manufactured, mined or harvested by children who should be in school, or by workers locked in sweatshops or forced into work through false promises or threats. In order to effectively combat the risks of child labor and forced labor in a company’s operations and global supply chains, it is essential to have a comprehensive and transparent social compliance system in place. The goal of this toolkit is to assist companies that may not have such a system, as well as companies whose existing systems may need strengthening — particularly in the areas of child labor and forced labor.